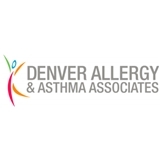 Boulder Valley Asthma & Allergy (Boulder) - Book Appointment Online! We focus on you—your comfort, your concerns—as much as the treatment techniques and options. When we say, “The doctor will see you,” we mean exactly that. You’re not making an appointment with a nurse or physician assistant, just your doctor. We promise: + A one-to-one doctor-patient relationship. + Fewer forms, less waiting, more listening.